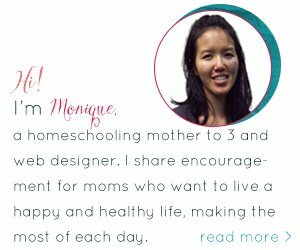 Looking for a fun way to surprise your kids for breakfast? 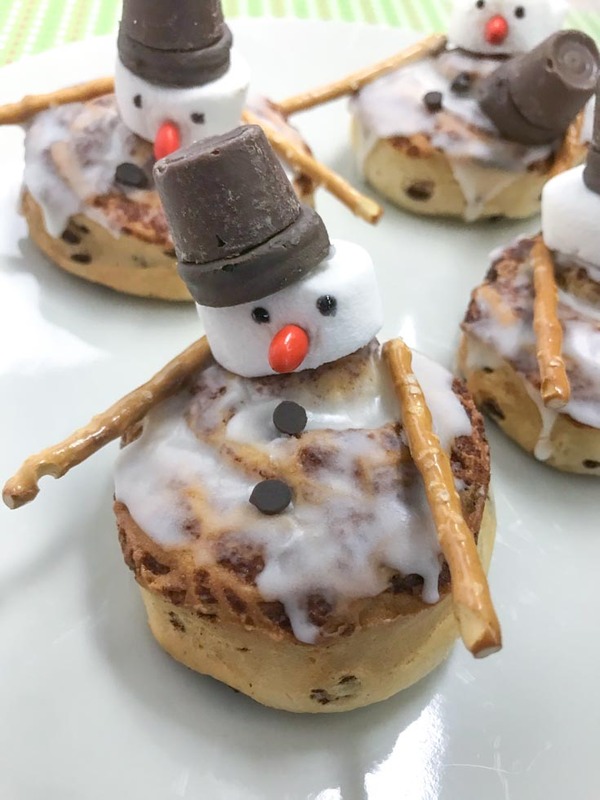 These Melting Snowman Cinnamon Buns are certain to please! Starting the day off with a healthy breakfast is important, but sometimes…you just gotta have a cinnamon roll (or two!) to add to the mix. 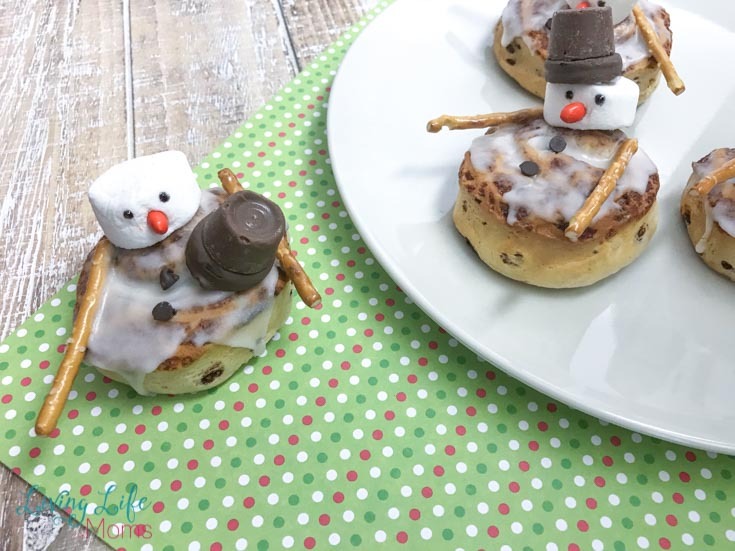 What better way to make an edible and adorable treat than with these melting snowman cinnamon buns. Seriously, they are just too cute. 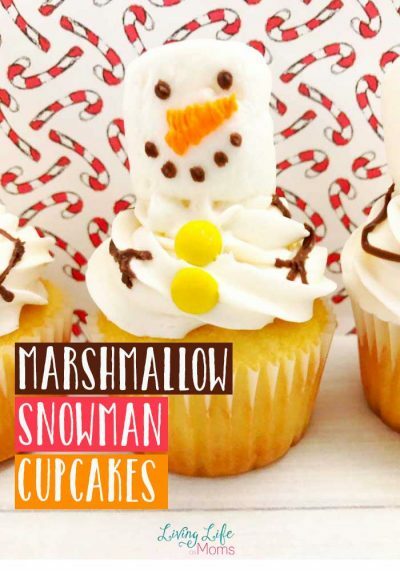 Perfect for winter but even more fun when there happens to be an actual snow day! 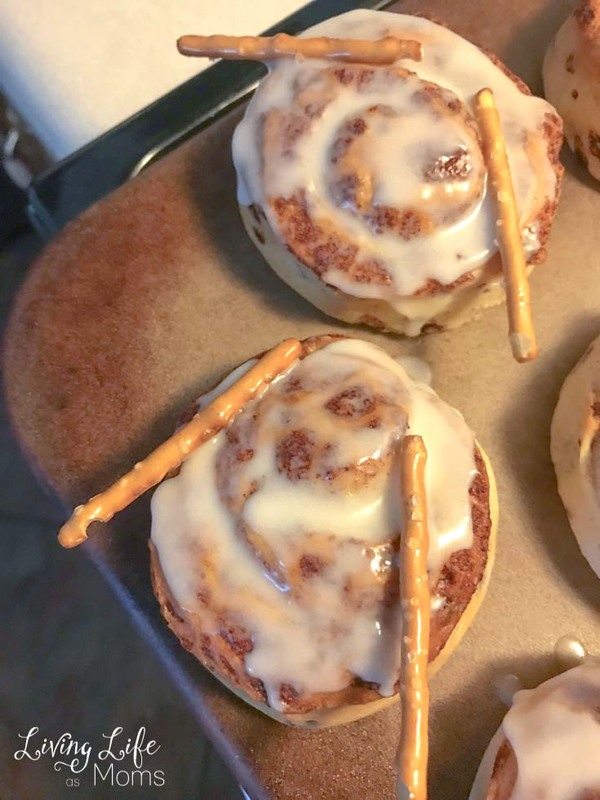 Imagine your kiddos getting all bundled up to head outside and play in the snow, only to come back in from the cold and have these delicious Snowman cinnamon rolls waiting for them? Best breakfast ever! And honestly, if you want some help in making these fun breakfast treats, your kids will probably be more than happy to help! Everyone knows that the cooks get to taste test along the way, right? 1. Cook cinnamon rolls according to package directions and apply the icing to the cinnamon rolls. 3. Cut marshmallows in half across the middle. The sticky side will be the bottom of the head. Take a toothpick and use it to pierce a hole in the side of one half. Press an orange candy-coated sunflower seed into the hole. Add two dots with the black gel icing to each side of the sunflower seed. Place the marshmallow head on the cinnamon roll. 4. Press one Rolo Caramel candy against a mini chocolate-coated OREO cookie. There should be enough fudge on the OREO to hold the Rolo candy. If not, rub the Rolo candy against your warm baking pan and then press to the OREO. Position the “hat” on the snowman. 5. 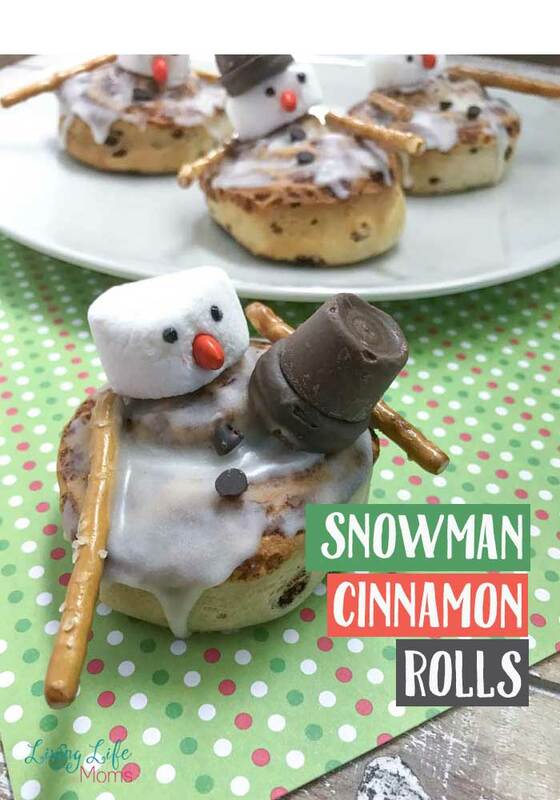 Add 3 mini chocolate chips to the top of the cinnamon roll to resemble the snowman’s buttons. 6. Serve immediately or refrigerate in an airtight container. It’s going to be hard to eat just one, right? Don’t worry…if you play your cards right, you may be able to eat one now and later with the leftovers! If there aren’t any leftover, then you know that this recipe is a hit and you need to make it again in the future.